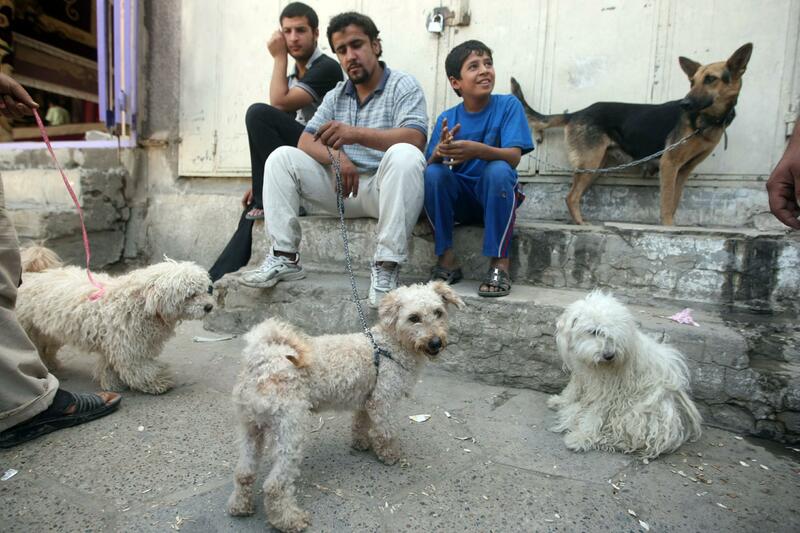 For years, many Iraqis considered dogs to be unclean. Now, these fleabags are beloved—and not just for security. It’s 9 o’clock on a chilly night in January, and the Adhamiyah animal market is teeming with visitors. There are the private zoo owners who’ve dropped by to size up the mangy lions and monkeys, and young couples sneaking furtive kisses in the shadows, ignoring the animals.